According to Wikipedia, the first usage of the word “selfie” to describe a photograph of oneself taken by oneself was in 2002 on an Australian internet forum. Not surprisingly, it was a photo from a drunken 21st birthday party. Robert Cornelius’ 1839 selfie. I assume he was drinking at a party when he took this. However, the selfie has been around as long as the camera itself. 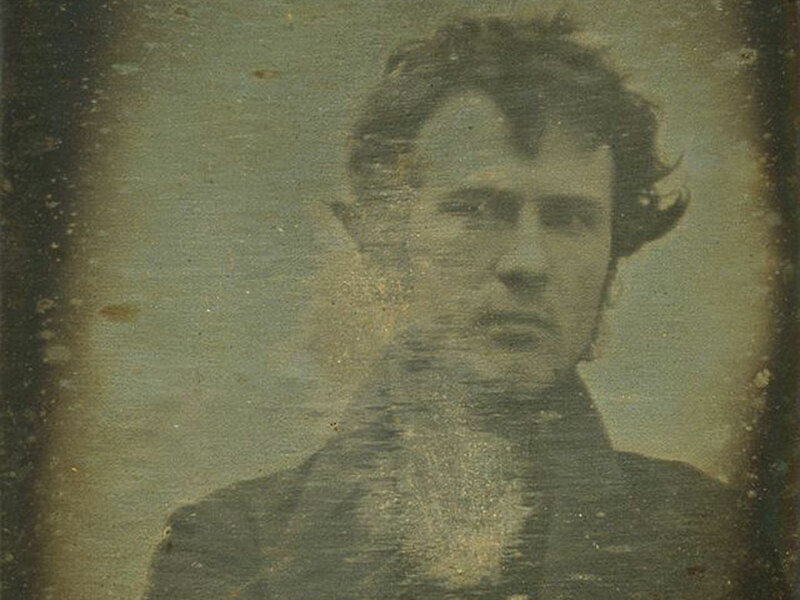 In 1839, Robert Cornelius took both the first selfie as well as one of the first photographs of a person. Very interesting. Have you seen the monkey selfie? It is almost as cute as yours. I have now, which also led me to read about the Infinite Monkey Theorem.